Replace your stand headlight bulb with a super bright and super affordable LED bulb from Gear Brake. 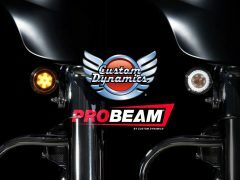 LED headlights are a great addition to any motorcycle. They do a better job of illuminating the road in front of you, making night time riding safer. Additionally, they increase the visibility of your bike, making it easier for other motorists to see you coming. And, they just plain look good.New addition to the Rollies lineup, Gear Brake, based in Louisville Kentucky, are creating waves in the US with their innovative and affordable lighting accessories. These LED headlights are super bright, running at 3,600 lumens. Replacing your standard headlight bulb is easy with universal Plug-N-Play, and you won’t be left in the dark thanks to the 20,000+ hours lifespan. Available Late October. RRP $99.00 inc gst. Rollies dealers can pre-order now – phone (07) 3252 5381. Mount Up! 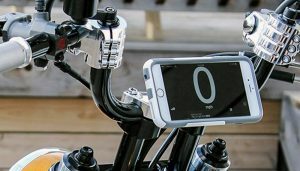 Klock Werks Releases New Device Mount Range.